I didn't exactly make New Year's Resolutions this year, but there is a new habit I'm trying to build. I want to read like a writer. My daily writing habit is still going strong. I've only missed one day since I started that experiment, around a year ago now. It's undeniably effective. I've finished two books, gotten good starts on two more, finished a short story and written drafts of three or four more (oddly, I think short stories are harder than novels), and written lots of blog posts. Writing is easier for me now. I can produce more words in one writing session, and more of them are words I can keep. Rearranging my life to make time for all this writing is cutting into my reading though. And I would argue that reading is essential to a writer's practice. It's important to see what others are doing, to have models to aspire to. It's not that I want to write like someone else; I'm not wanting to imitate anyone. I want to read more and think hard about what works in the books that work and what doesn't in the ones that don't and apply those lessons to my own work. Breadcrumbs by Anne Ursu was brought to my attention by a reading circle of middle school teachers I work with. I read it in paperback, purchased from Amazon. It's a quiet book, and, at times, I wasn't sure I liked it. Maybe this is, in part, because I haven't read many middle grades book. I've read a fair amount of Young Adult, but this was obviously gauged a bit younger. I was genuinely surprised when magic came into the story as a real element. The first half of the book made me think the magic was all in Hazel's mind. What kept drawing me back in to the story were the little moments in which the narrator described some small aspect of life with a haunting accuracy and sadness. "School was very easy, it turned out, if you just disconnected your heart." Poetic. Heartbreaking. 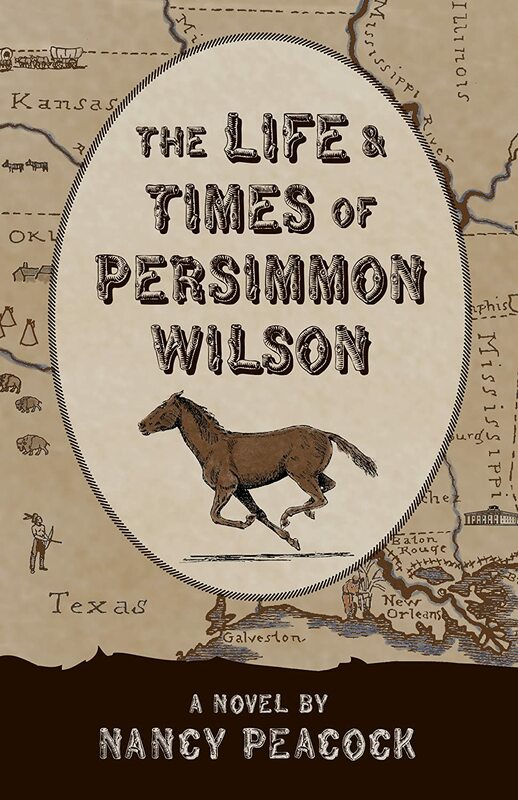 The Life and Times of Persimmon Wilson by Nancy Peacock came to me from another reading circle--a neighborhood group. We've decided to read books with a connection to North Carolina, our home state. This one was by a local writer. I read it in paperback, purchased from Amazon. I was genuinely surprised by how much I liked this book. Nothing about the cover or the title made me expect what I got. It's a great example of the curiosity-building opening line that Stephen King is so fond of: "I have been to hangings before, but never my own." It's a sentence that packs a wallop, emotionally, and definitely made me want to know more. This is something I've been thinking about in my own work. I tend to ease into my stories slowly, but readers seem to appreciate being grabbed in the opening paragraph. I also admired Peacock's ability to keep the story interesting in first person. So far, I don't write in first person. I like close third, sort of the "over someone's shoulder" view. First person brings a lovely immediacy, but it's also limiting--you can't show anything the character doesn't see or know. Persy's life took some interesting turns and Peacock integrated her historical research beautifully, providing detail without ever making me feel like the story had stopped so she could show me what she had learned. of audiobooks. I choose audiobooks almost at random. I just go the website, click the search option that shows me what's available for checkout and choose the first book that has any appeal for me. So, I listened to this novel not having any idea at all what is was about, but just drawn in by the cover and title. It turned out to be a Civil War story, set in the North and focused on Northern characters. I've not encountered much of that in my life. Most Civil War stories I've read or viewed have been set in the South. It was fascinating. One of my own projects right now is a historical novel set mostly in the early twentieth century. Oliveira and Peacock both have strong lessons for me about incorporating research and factual detail without letting it overwhelm the narrative. In Mary Sutter, the key was Mary herself. She was both a woman of her time, and out of her time. I was instantly intrigued by her and cheering for her in her quest to become a surgeon at a time when medical training was not available to women. Oliveria also handled the complicated feelings of disappointed love beautifully. Since my own character, Freda, is disappointed in love, I hope I can handle it as well. Lastly, there's The Book Thief by Markus Zusak. This one came to me from the same reading circle of middle school teachers, in a paperback copy borrowed from another teacher. I should state upfront that I have a hard time with Holocaust literature. It eats at me in a way that reading about other tragedies does not. So, I wasn't sure I wanted to read this book at all. I read it very slowly. A chapter at a time, with breaks for other reading in between. At first the narration fascinated me. What an interesting idea! Having the story told by Death personified. It brought to mind The Lovely Bones by Alice Sebold for the creativity of the narration. Partway through, though, that narration began to feel contrived and false to me. I almost wish the author had found a way to let Death slip away once he had introduced us to the players and just let the story play out for itself. Death, after all, didn't change or grow, and his fascination with Liesel was unexplained. I felt the same way about some of the neat poetic/not quite sense-making descriptions Death used. They were striking, like the moments of insight in Ursu's book, but maybe too much so. They started to feel precious and removed me from the story. "You will be caked in your own body." Trying too hard? I'm still not sure. I also couldn't decide how I felt about the cues to future events. This was more than mere foreshadowing. The ending was basically announced several times before it actually arrived. Was this a function of being a book intended for younger readers? Was it supposed to lessen the shock? Or build anticipation? It didn't do either for me. Again, it pulled me from the story to wonder what he was after by that tactic. If I'm thinking about the tactics, they are probably not working. Historical fiction has to be accurate, but not call attention to the accuracy. It's the characters that make you care. Don't lecture. Know the details, but don't tell them all. Now, off to read some more and see what else I can learn. What should I read next? My Uncle Don died recently. Actually, it's probably the third or fourth time that he died, but this time he meant it. Another of my uncles used to call him Lazarus, in honor of his propensity for coming back to life when all hope was supposedly lost. He was tenacious that way. When Don was still a young man, before I was born, he was in a horrible car accident with two of his brothers. He went into a coma and the doctors told my grandparents that he would never wake from that coma. But wake, he did. And walk. And speak. And live, fully and happily. All things the experts said he would never do. When I was a child, he was very active for a man who was never supposed to wake from a coma. He would sit, smoking cigars and drinking coffee at family parties and telling dumb jokes that even us children rolled our eyes at. It never ceased to amuse him to remark that us "kids" were a bunch of goats. I thought it was the brain damage talking, but my mom says he always had kind of a dumb sense of humor. He liked us kids. He'd ask us to show him our schoolwork and the various things we were learning to do. He loved it when we did cousin talent shows at holiday parties. He'd invite us to watch Lassie and The Lone Ranger with him on the little TV in his room. Sometimes we would. He was generous, too. Though he had only a limited income from his VA benefits, he bought me, his first niece, two of my most treasured childhood toys: the very creatively named Big Ted and Little Ted, which, as you might guess, are two teddy bears of disparate sizes. I've had them as long as I can remember.Those poor bears are bare in patches and lack much stuffing, but they are still mine. He liked to paint and write letters. The mail arriving was one of the highlights of his day, when he could still work his way to the mailbox and gather it himself. He had an obsession with the mailman and made all kinds of jokes about him, too. When I went to college, then away to Alaska, he was my correspondent. I sent him pictures of the places I was living and letters about what I was doing. His handwriting got harder and harder to read, but we kept it up for a long time. I'm not sure when exactly we stopped writing to each other. Declines are like that. Gradual, hardly noticed at the time. The past twenty-five years have seen that kind of decline in my uncle, bit by bit, little by little. First, there was his hand-eye coordination. He was no longer able to do the paint-by-number kits we used to buy him for every holiday or write letters. His hearing and eyesight diminished. Later, his mobility was affected. There were medical problems of various sorts and trips in and out of the hospital. More than once, doctors thought he wasn't going to make it. But he always did. He still lived at home, among the hustle and bustle of all of us. He still went to every family party, though now it took two brothers to maneuver him in and out of vehicles and into his wheelchair. His brothers still took him out target shooting. After my grandfather died, some of the wind went out of his sails. I think it did for all of us, for a while. Money was tighter, so that probably didn't help. What money he had went to my grandmother to help support the house and the two of them. More years went by and he lost his ability to balance well enough to walk. He began to crawl around the house like some six foot something baby, still determined to get around, and out to the porch where he could watch the goings on of the neighborhood. Even this time, this last time, when he was in the hospital, I didn't think this would be the end. As I received messages from various members of my family, I could see that all of us thought he would rally, that he would thumb his nose at death yet again. We've got a great memorial planned for you, Uncle Don. You'd love it. There will be food and drinks, of course, and a bonfire. One of your brothers has worked out a way to mix your ashes with gun powder and let us shoot you. I think you would love this idea. I hope you're having fun, Uncle Don, wherever you went from here. 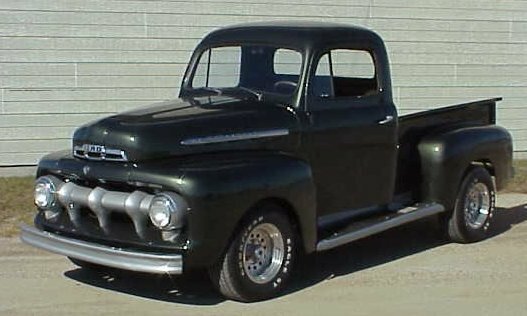 I hope there are cigars and cheesy fifties TV shows and letters for you in the mail every day. I hope this one makes it to you, too. I miss you. The smallest place I ever lived was Kenny Lake, Alaska, population 400. I taught in a school of 100 children, grades K-12. My Spanish class had four students in it. I knew nearly everyone, when I'd been there only a year. The people I didn't know by name still knew me, because I was a teacher at the school. The life of the community was around the school and the children. Everyone came to the hockey games. We dealt with each other as individuals. None of this crap of making a blanket rule about something because there's a problem with one person. You would just talk to the one person, directly. I miss that. The biggest place I ever lived was Madrid, Spain. That was just for a summer tour of study. For the summer, it was fine. Though I was intimidated at times, especially since I was living in a country that I only kind of spoke the language of, I really enjoyed walking everywhere, exploring gorgeous public parks, taking trains, living a public life. I enjoyed the feeling of life and vitality, like there was something exciting around any given corner. But, when I got back to small town Kentucky afterwards, I was glad to be home. Madrid was exciting, and exhausting. Cities are nice to visit. I kind of like living within reach of one, where I can drive there when I want to take advantage of what they have. It's nice to go hear a variety of types music, go to good art museums, see professional theatrical productions, or eat really specific ethnic foods. But I am not a city girl. I don't like traffic. I get grumpy if I have to wait more than a few cars worth of waiting. This is bad enough that I generally stay off the road between 5:30 and 6:00 in my current hometown (population 6200), because you might have up to ten minutes in traffic getting through town. I also don't like crowds. They are loud, and there are always at least a few truly obnoxious people in them. Crowds make it hard to move because there are always people in your way. Crowds make it hard to hear the person I'm walking with. The energy of a crowd worms its way into your psyche and influences your mood. This makes me feel stubborn. I want to feel what I feel, not get sucked into a group feeling. Related to the crowds thing, I don't like being forced into physical proximity with people I don't know. Whether this is jostled around in a crowd, or just sharing a bus seat with a stranger, I don't like it. My personal bubble is large. If I don't know you, stay out of it! While I do like people, individual people that I know by name and face and build a relationship with, I don't like PEOPLE as a big anonymous group of individuals I may not ever encounter again in my life. It makes me happy to walk into a small business and be recognized by the sales clerk, to know to ask about her new grandchild or puppy or home improvement project, because we talked about that last time I was in. It makes me feel connected. They're putting a hospital in, here in my small town. They knocked down a bunch of trees for it, and built three big brick buildings that would look at home in a much larger, more modern place. I hate it. I get how it's good for the community, but it's bringing changes I won't like. It's already added a traffic light to my life, with a turn arrow and everything. What's next? A Starbucks? Yeah, it might be time to start thinking about my next home. I can breathe in a small town. I can be myself in a small town. And that's good enough for me.